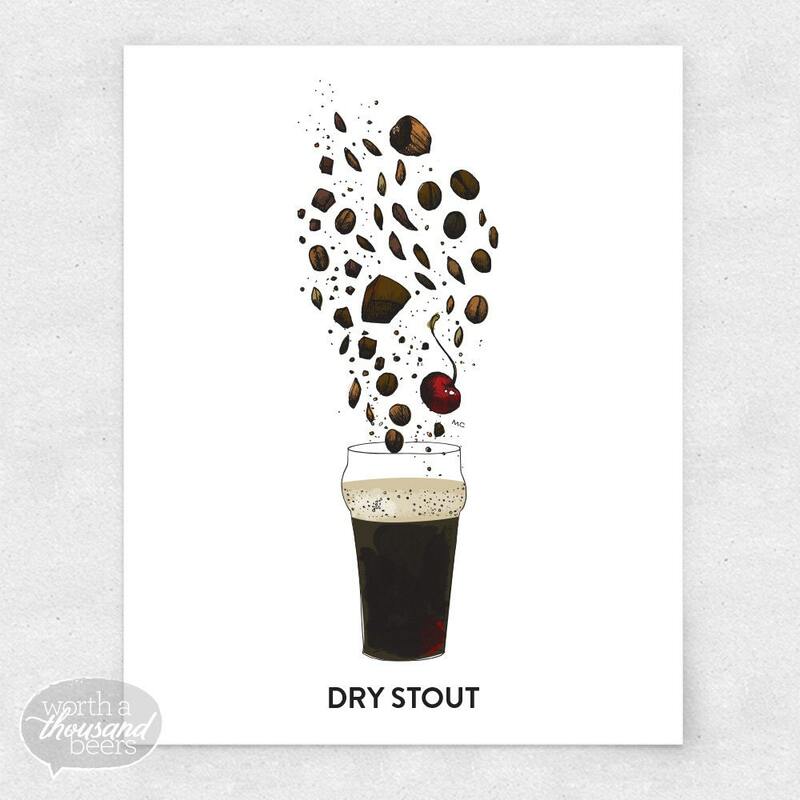 This illustration represents my experience sampling several examples of the Dry Stout, an English-born beer style that tastes and smells of coffee, roasted malts, bitter chocolate, hazelnut and hints of cherry. 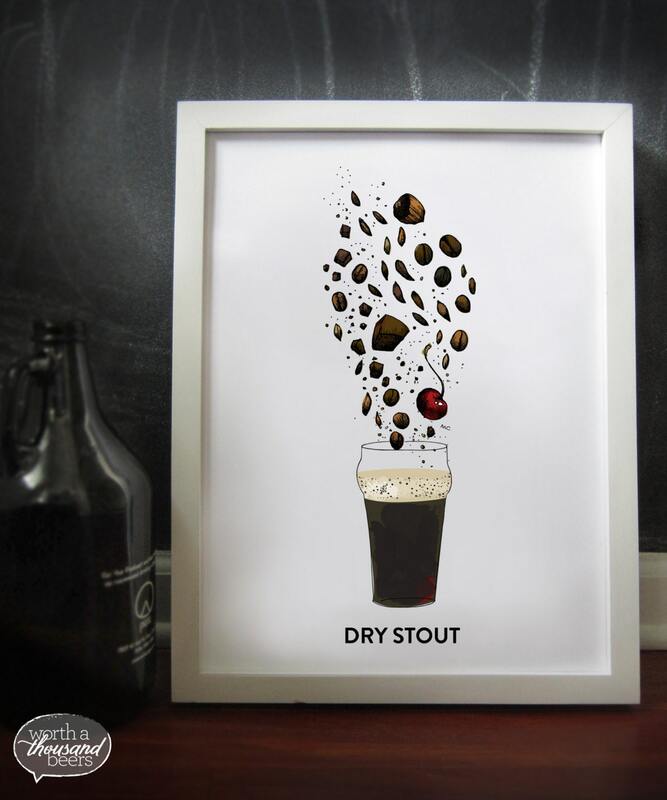 Great for bar art or brewery art! 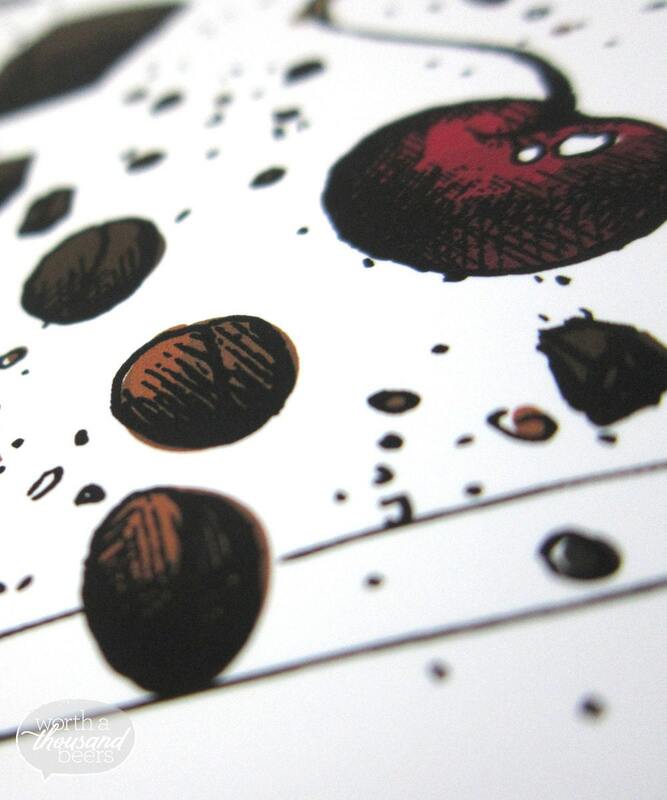 • Archival print of an original ink illustration, colored digitally. 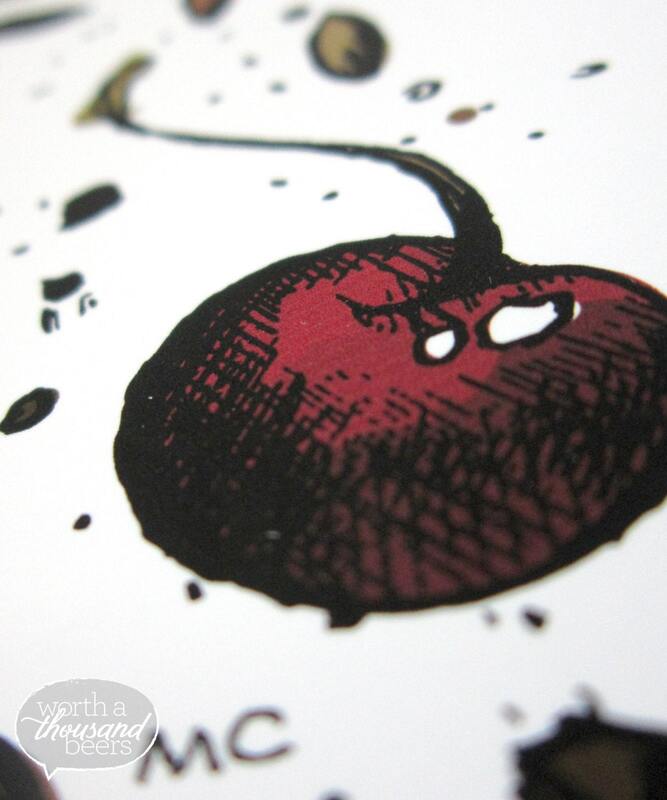 • Professionally printed on 100 lb super smooth opaque white cardstock. • Final print size 12" x 16" with a one inch white border on all sides. • Shipped in a sturdy mailing tube. Due to the variation between monitor calibration and the differences between on-screen colors and printed inks, the colors you see on your screen may differ slightly from the final product. 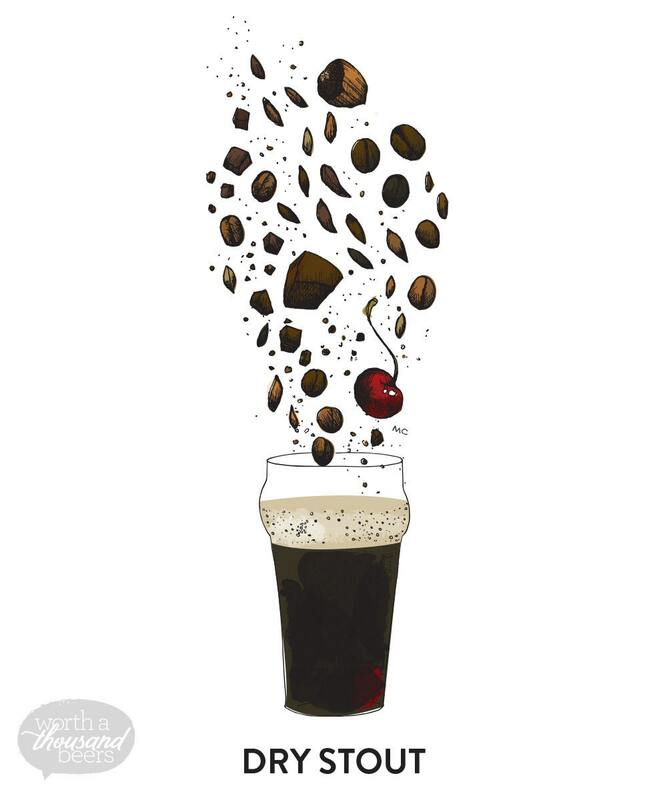 Logo design, illustrations, and imagery is intellectual property of Worth1000Beers. Duplicating the likeness of this design, illustration, or imagery for retail sale is prohibited by law, per Etsy's Copyright and Intellectual Property Policy. Payment is accepted via major credit card, Etsy Gift Cards, or Paypal. If payment is not received within 2 days, the sale will be canceled. All Domestic Orders will be shipped USPS First-Class, in 3-5 business days after payment is received. If applicable, any shipping overages originally charged to the buyer will be refunded by the seller. Delivery of items in the U.S. usually takes 2–5 days after the item has shipped. If you would like to receive your order more quickly, please send me a message and I can charge you extra for faster shipping. All International Orders will be shipped USPS First-Class Package International Service, in 3-5 business days after payment is received. If payment is not received within 2 days, the sale will be canceled. If applicable, any shipping overages originally charged to the buyer will be refunded by the seller. The buyer is responsible for any local Customs fees, duties, or taxes that may apply. The seller is not responsible for any Customs delays. If you would like to receive your order more quickly, please send me a message and I can charge you extra for faster shipping. All sales are final unless the item arrives damaged. If you do you encounter a problem with your order, don’t hesitate to contact me directly, but please do so within 10 days of arrival. Upon proof of damage (photo) I will send you a replacement. Otherwise, once an item is delivered I do not offer refunds. Please feel free to contact me for custom illustration requests! I would be happy to create something unique for you. Illustrations are intellectual property of Worth1000Beers. Duplicating the likeness of these illustrations in any way for retail sale is prohibited by law, per Etsy's Copyright and Intellectual Property Policy.